DOES NOT FIT: JAGGED X or XP1K. Made from 1/4" Thick MR-10 Hard Coated Lexan (Polycarbonate). 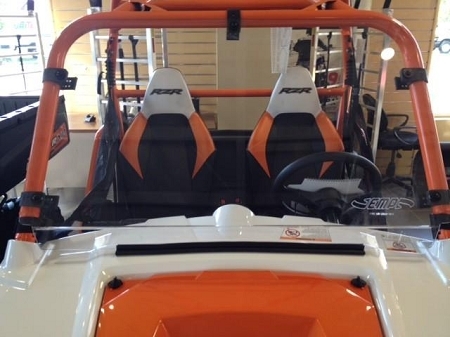 Made from 1/4" thick hard coated MR-10, this is probably the last windshield you will ever buy for your RZR. 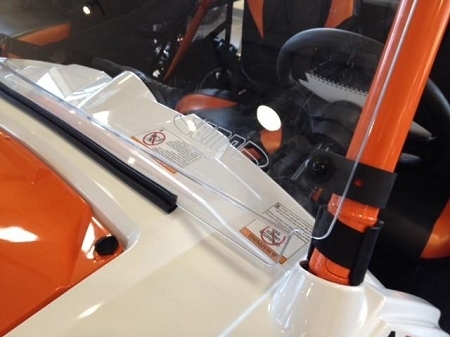 It features our "Fast Straps" so you can easily remove the windshield without any tools. Simply unhook the rubber straps. You can remove it in seconds without any tools. Rubber straps will not scratch your cage. DOT Rated and Stamped. Pictured with optional windshield wiper (sold separately). 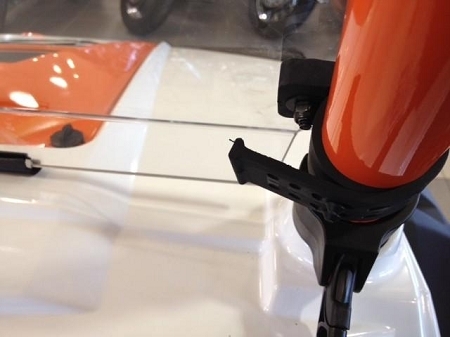 The last few pictures show a different type of clamp, but these pictures were only included to show the optional wiper. This item now is shipped with "Fast Straps".